Tell us a little about your inclination towards Sales Technology? What drove you to establish an organization that specializes in Sales Technology? If there’s one sector today that can’t escape digitalization, it’s sales. Increasingly challenged by a difficult legal and prescriptive environment, the optimal use of data has never been so important for generating sales and delighting customers. Companies can no longer afford gaps in their prospect and customer strategies: following-up with a lead 48 hours later is most often a lost lead. This is a costly lesson to learn, especially if faced with competitors that are more agile and better connected internally. Siloes cost leads. Marketing, Prospecting and Dales departments should unite! 2019 will be the year of collaboration between departments that have historically been disparate and at odds within a business. To tackle the challenges of the B2B sales sector, teams are increasingly looking for tools to close these gaps. That’s where Sellsy comes in. Sellsy can be a CRM but it’s not only a CRM — but it can also be used for lead generation and management, project management, marketing automation, inventory, helpdesk and support services, budgeting, invoicing, chasing late payments and more. Is Sales possible today without a strong CRM system? If yes, then how has CRM changed the Sales Industry? Not at all. Sales execs are natural communicators, able to very quickly establish a rapport, get under the skin of a prospect’s challenges and tailor key product and service messages accordingly. No machine can replicate that. What a strong CRM does bring is the ability to automate the aspects of the relationship that can be time-consuming and cumbersome but require little skill — collating information on prospects and customers, setting reminders to follow up in X amount of time and assigning leads to different teams. As CRMs become more efficient, easier to use and boast an increasing number of capabilities, sales can focus on the parts of the job they do best while technology can take care of managing the admin side of the relationship. How do you perceive the differences between MarTech and SalesTech? How do you design a CRM that maintains that difference even when it is a unified product? 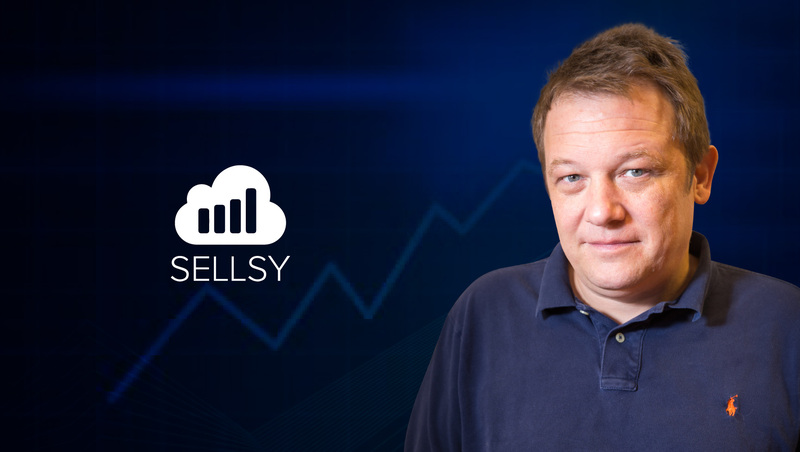 Sellsy is the best of both — CRM and ERP, in one software. We take a modular approach to ERP functions built around and integrated with our powerful CRM. Companies can choose the solutions that are right for their business and are able to seamlessly integrate new features as they grow. Not only does it ensure their CRM and ERP are fully integrated, but it also ensures they don’t have to keep up with a dozen different usernames and passwords! It is also cost-effective. As a small business owner, you don’t want to pay separate subscriptions for a CRM, marketing tool or accounting software from multiple vendors, especially if they don’t work well together. Our software offers a compelling, innovative solution to this dilemma. What is more important to you — building a great product or a strong focus on client satisfaction? Client satisfaction is the purest expression of a great product, so we start from there, listening to our customers. How can the Sales Industry best leverage Sellsy’s products? Customers have hundreds of different touch points, sales teams have hundreds of different tools, and data rests in a hundred different places. With Sellsy, sales teams can stop playing catch up with competitors, get everyone on the same page and move prospects through the sales stages like a hot knife through butter! Could you give us a use case of your product(s) when they helped a business resolve a complex problem? Getting paid is complex, we help them do that every day and remove 90% of the hassle. This is done through our linear and integrated workflow, from the lead signing up to your website up to the money coming right in the bank. 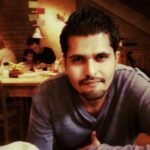 Could you name some tools that Sellsy CRM can integrate with? From the very beginning, we wanted Sellsy to be an open system, that you could connect to your own set of apps. We have deep integrations with the main SaaS on the market: Google Suite and Office 365 and we also provide a fully-fledged API that developers can leverage to build complex integrations. We launched recently our Zapier connector, that lets our users connect with hundreds of apps with a simple drag and drop setup. How can enterprises such as yours infuse AI in Sales Technology? AI is more than a buzzword when it comes to CRM and we started working with it long ago. Guessing the right time to contact a prospect is a common request, pre-match intelligently bank records with receipts and invoices is another. As a business leader do you think AI is the future of Sales Technology? Who doesn’t? It’s 2019. AI is the future of almost every technology. Personalization is everything in today’s B2B sales and marketing strategies but, this year, sales and marketing will be focused on how to make personalization productive. Each segment, and then each sub-category of a structured sales or marketing strategy requires a nuanced approach, which can be very time-consuming if managed manually. To help optimize the relationship with your prospects, new tools have emerged, such as lead tracking and scoring, sales automation and re-marketing. Could you name some apps/tools that you use in your day-to-day life? Nothing very original I guess, I notably use Slack and Gmail every day. As an avid Mac user, I have three gems your readers will probably enjoy: Caffeine, Jumpcut, and Bartender. I’ll let them discover their awesome features. If not into Sales Technology, what would be your alternate career choice? Probably into designing and building stuff, bikes or houses for example. Whose answers to these questions would you like to read (from the industry)? Elon Musk! He would provide a longer answer than me on AI! Thank You, Alain, for answering all our questions. We hope to see you again, soon. Sellsy skyrockets sales and straightens-up operations through an all-in-one cloud solution that scales with your business’ needs and processes. With 14 different modules to choose from, both the platform and pricing adapts to the features you actually use; be it CRM, invoicing, online signatures, Kaban projects, support ticketing, or email marketing. Founded in 2009, the company has grown to over 70 employees spread between La Rochelle and Paris, and ranked among the 10 fastest growing tech companies in France by the Financial Times in 2017 and 2018.